I've volunteered a few hours a week to assist a couple of biologists with a research project. It mostly just involves me writing down data and other simple tasks, but it's been a great experience watching and learning from professionals. 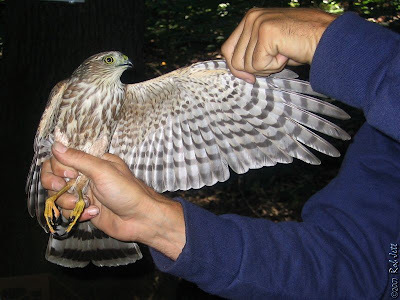 I recently had the opportunity to see a juvenile male Sharp-shinned Hawk up close. 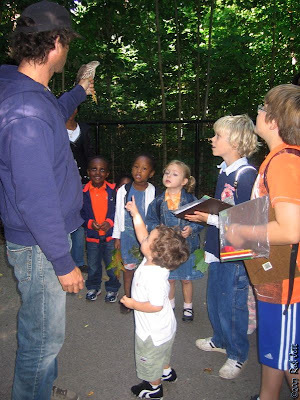 A small group of school children we mesmerized by the beautiful raptor, as well as, the biologist's impromptu nature lesson. The expression of wonder on the faces of the kids was priceless. In that brief interaction, it's conceivable that the seeds for a conservation career were planted in one of those young minds. The fall songbird migration seems to have stalled. My birding time has been somewhat limited this fall, but it appears that days birder's frequently describe as ones where "birds were dripping from the trees" haven't materialized. I went into Prospect Park on Friday morning as the sun was rising hoping to find that more birds had finally arrived. 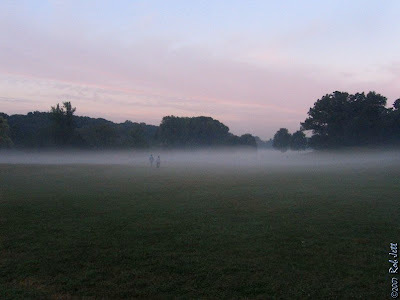 What I found was a thick layer of fog rolling across the Long Meadow. It was a pretty neat experience, but I would have preferred seeing thick flocks of birds. I was cautiously optimistic that weather conditions over the weekend would bring more southbound birds through the area. 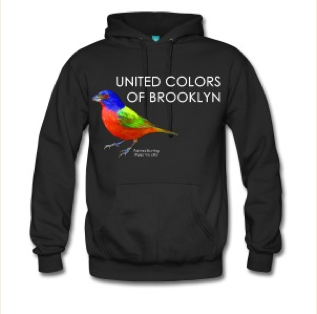 On Sunday there was a pretty good movement of songbirds through Prospect Park. It was easily the most productive day in the park that I've experienced this fall, which isn't saying much. Many of my birding friends and acquaintances have been expressing concern about the low turnout of birds. There are probably many conditions that influence the southbound migration patterns of neotropic songbirds. I’m hoping that there is a logical reason and that populations haven’t plummeted. By the end of a 3 hour walk in Prospect Park I had tallied 13 species of warblers. 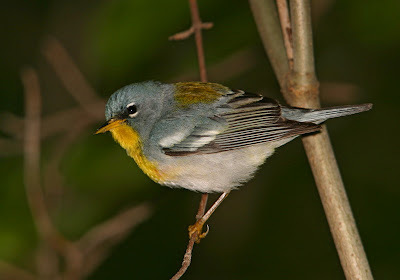 However, the only species seen in any abundance were Northern Parula, Magnolia Warbler and Black-throated Blue Warbler. I didn't get into the park until 9AM (late by birding standards), so it's possible that it was more active at dawn. I’m trying to remain optimistic. For the first official day of autumn, several White-throated Sparrows were seen moving through the park. By the end of October, these winter visitors should be common throughout the park. With Sunday’s temperature hovering near 80 degrees, their appearance seemed incongruous. I guess they know better than I do where they should be. 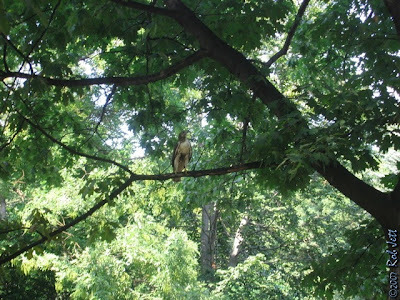 I spotted the pale-headed young female Red-tailed Hawk that has been hanging around the north end of the park. She was perched in "Elizabeth's Tuliptree" at the north end of Nelly's Lawn. Her juvenile, brown tail feathers have finally been replaced with those of a complete adult. The floor of the park’s woodlands are now dapple with White Wood Asters. Scattered among the asters were White Snakeroot. 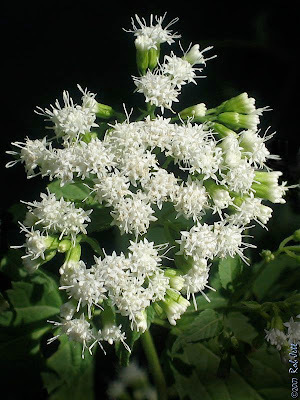 The white umbels of the snakeroot are composed of dozens of minuscule white flowers, giving the impression of a single, large flower. 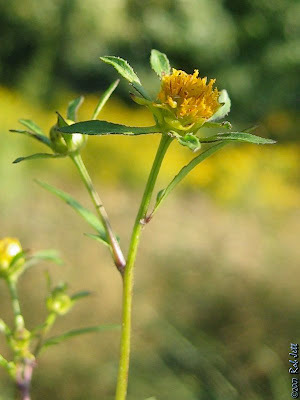 I discovered that snakeroot is also a member of the aster family. 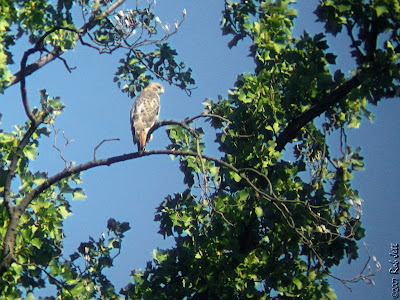 Prospect Park isn't the best location to see migrating raptors, but we did observe a single Osprey, a Sharp-shinned Hawk, a pair of kestrels and several Red-tailed Hawks. The red-tails were moving around a lot so it was hard to tell the exact number. They may also have just been all local individuals and not migrants. While walking up Payne Hill towards Rick’s Place, a juvenile Red-tailed Hawk flew in from the trees on my left, dropped down to about 6 feet above the ground then continued into the woods of the Ravine on my right. A squirrel had flattened out against a branch in a small sapling on the hillside. Perhaps the hawk was aiming for him. I met my wife in the park at noon and we walked to the Brooklyn Botanic Garden, across from the eastern border of Prospect Park. 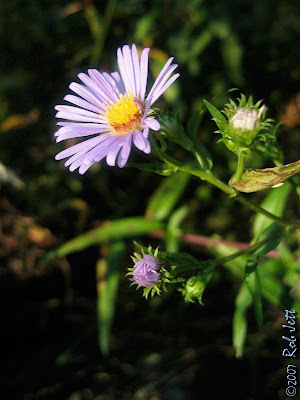 Several varieties of asters and sunflowers were thriving in the decidedly unfall-like weather. At the native flora section, jewelweed plants have created a overgrown tangle of green and orange along the stream’s edge. 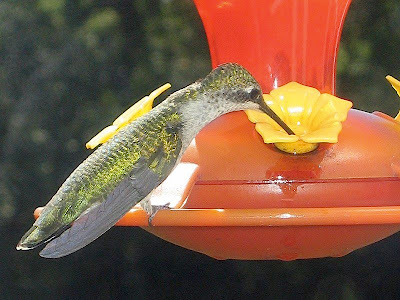 We spotted two Ruby-throated Hummingbirds fighting over, what I presume was, feeding rights. 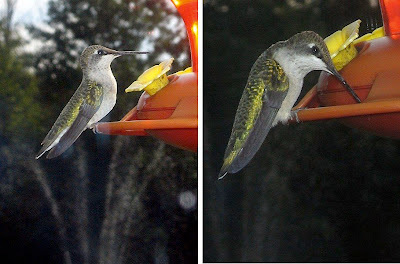 During several confrontations, they made angry, high-pitched chittering sounds that seemed more comical than intimidating; but then again, I’m not a hummingbird. At the garden’s outdoor cafe, we found some available seating and placed our stuff on the table. 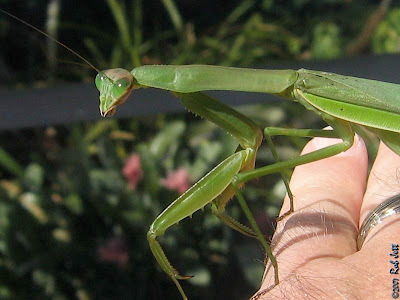 A woman at an adjacent table stopped us from sitting on one of the chairs by saying, “Don’t sit there, the chair is already taken by a Praying Mantis.” A beautiful specimen perched on the chair back swayed slowly from side to side, a ploy used to blend in with surrounding plants. The camouflage didn’t work as he was on a grey, steel piece of furniture. I offered him my hand, which he graciously accepted, and I carried the huge insect to a rose bush a few yards from our table. We cut across the middle of the park and exited at 9th Street and Prospect Park West. 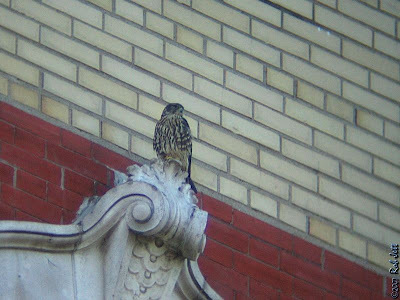 Waiting at the crosswalk for the traffic signal to change, I looked up and spotted a Merlin perched on a decorative, stone scroll above an apartment window. He was facing the park and had a perfect view of the playground with all the associated House Sparrows and starlings. I wondered if it was our annual visitor returning for another winter vacation. From 9th Street we walked down to the main shopping avenue before returning home. As we turned onto 6th Street I noticed the shadow of a large bird moving across a stretch of blank, brick wall on Methodist Hospital. A Red-tailed Hawk appeared briefly as he passed over the street, chasing a flock of pigeons onto the roof of the building between 5th and 6th Streets. We hurried home and I ran up to the roof with my scope and tripod. 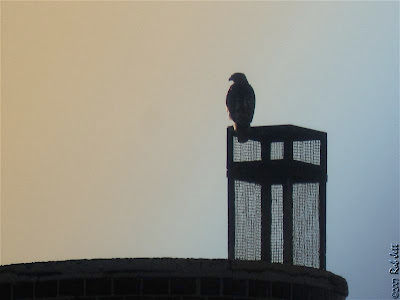 I didn’t see the red-tail from my roof, at least, not right away. After about 15 minutes, a large Red-tailed Hawk ascended from the building on 7th Avenue. 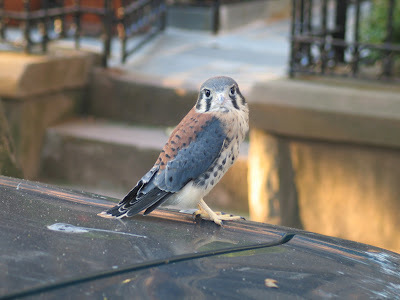 She flew towards the tall apartment buildings near Grand Army Plaza, where she was joined by a second, small red-tail. For the next 30 minutes the two hawks put on a show for my wife, a neighbor and myself. They chased each other in mock battle, the smaller of the two occasionally dropping his talons when he was above the female. 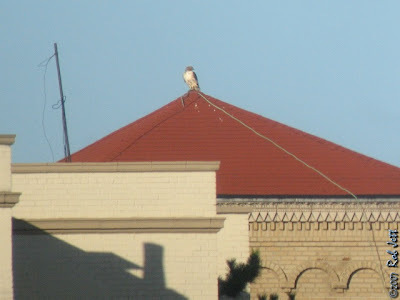 One perched at a favorite spot on the peak of a red, tiled roof several blocks from our home. Soaring together on the updrafts flowing towards Prospect Park, the two large raptors sailed back and forth across our roof and over to the towering Methodist Hospital building. Flocks of pigeons roost on the roof of the hospital and I assume that they were the red-tails attraction to the building. By sunset I could locate only one of the pair, as the larger, presumably female hawk vanished over the buildings to the east and into Prospect Park. While birding in Prospect Park, I ran into Ellen and Mike, a couple who were also enjoying the arrival of many fall migrant songbirds. We began chatting and, at some point in the conversation, Mike mentioned a fledgling kestrel that he photographed in front of their house. I asked what street they live on and, as it turns out, they are neighbors of the woman who wrote to me back in July. They weren't certain of the nest location and, after I told them where it is, it appears that they will have a perfect view of the nest cavity next year. I can't wait. Had an excellent tour at the Ridgewood Reservoir yesterday. I wish I could be as upbeat about my ISP. Service has been out again for 24 hours. I'll post a more complete follow up within the next 24 hours. For the folks from QCB5, here's a quick link to the Ridgewood Reservoir blog. I was walking to the subway early the other morning. A few yards away from the station entrance , I noticed a small, colorful bird hopping around in an oak tree that I was passing. The bird fluttered to the ground, nearly at my feet. 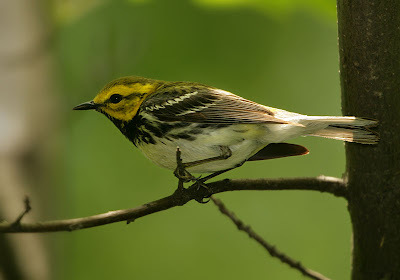 It was a Black-throated Green Warbler, who had been chasing an insect, and caught it on the sidewalk in front of me. Sitting on a concrete sidewalk, adjacent to a parked car seemed to accentuate the beauty of the delicate, vibrant animal. I've seen Black-throated Green Warblers thousands of times, and they always brighten my day, but in that moment, in those surroundings, he was exceptional. For some reason, had he popped up in front of me only one block east, in Prospect Park, I don't think it would have stopped me in my tracks. I was only able to get out into the park on Saturday afternoon. Unfortunately, the wind was blowing so hard that most of the birds were hunkered down and out of sight. The Vale of Cashmere is protected from the wind on three sides, but I only spotted a single Black-throated Blue Warbler and Northern Waterthrush. From the vale, along Nelly's Lawn and the Long Meadow to the Upper Pool, I spent my most of my time looking for dragonflies and assorted wildflowers. 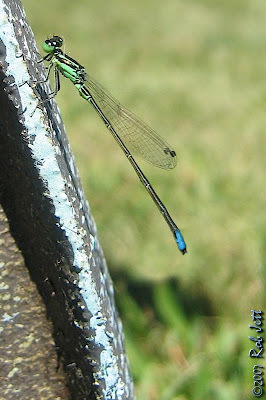 I noticed a Green Darner perched on a stalk of dried thistle at the edge of Nelly's Lawn. 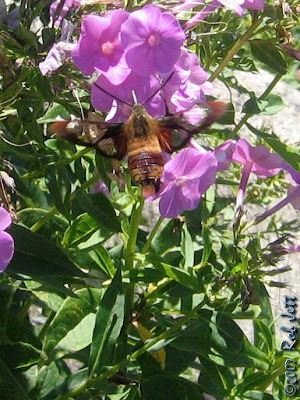 Normally, they fly off when you get too close, but he didn't move, even when I held my camera just a few inches away. It was a little cold, so I guess he was in some type of torpor. 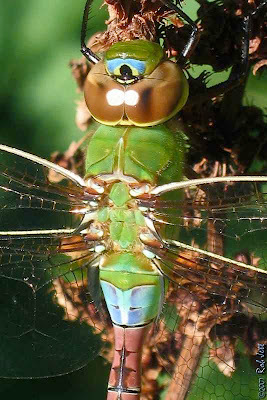 During a cold fall day several years ago, I found a Green Darner that I thought was dead. 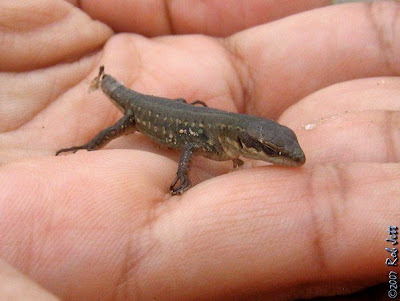 I held him in my hand for a couple of minutes. Well, I presume my body heat warmed him up, as he suddenly came to life and flew off. 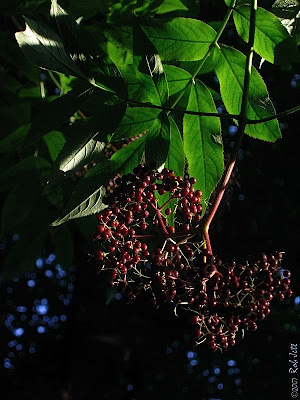 There weren't any birds at the Aralia Grove, despite an abundance of tiny, ripe berries on the "Devils Walking-sticks". 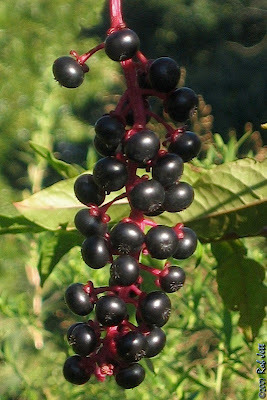 I've heard several Veeries calling from the edges of the woods and, like many migrating thrushes, can be found feeding on pokeweed. 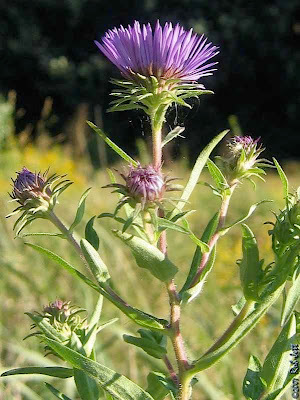 I scanned any of the weedy patches I encounter that contained the dark, purple fruit. 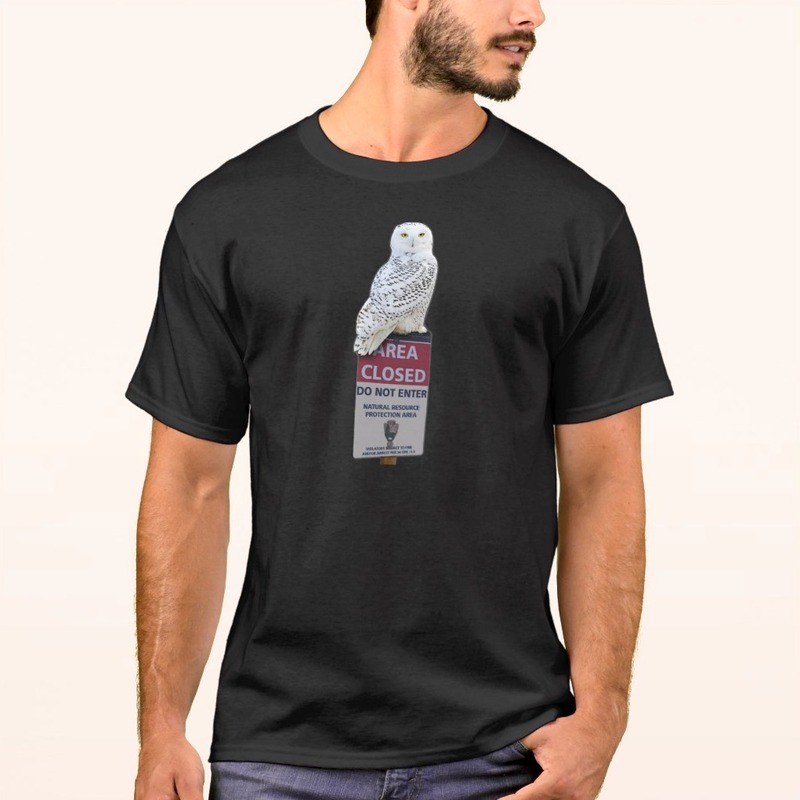 In September, and into October, they are a magnet for migrating birds. I spent about an hour at the wildflower meadow near the Fallkill Falls. Towering goldenrod were ablaze in the late afternoon sun and currently dominate the small field. 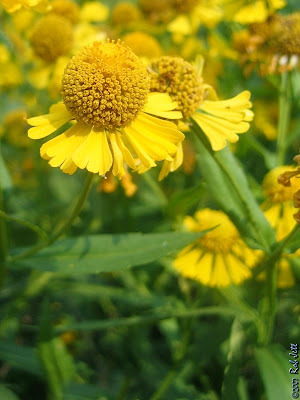 There were also scattered patches of flowering New York Ironweed, Beggars Tick and Nodding Smartweed. 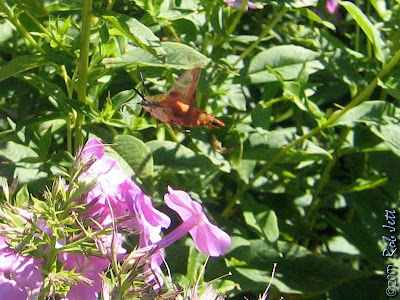 Common "Lady's Thumb's", a relative of the Nodding Smartweed, attract migrating sparrows at this time of year who nibble on its pink seeds. After examining my close-up photos, then researching the Nodding Smartweed at home, I learned that the tiny, pink and white seeds were not seeds at all, but minute flowers. The birds are actually eating the buds and flowers of the similar polygonums. Another interesting discovery Saturday was the flower structure of the New York Ironweed. 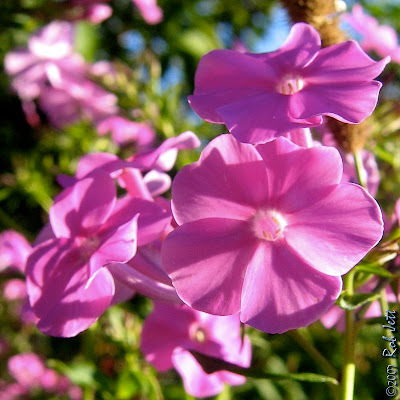 I had assumed that the flower was the purple things at the end of the stems. Well, they are, sort of. Each thread-like petal is actually an individual flower. As the plant blooms, every thread opens as a five petal flower, so the flower head is composed of 30 to 50 individual florets. They hadn't opened on the plants that I was looking at, so I'll go back this week and take another close-up photo. I put aside the following thread of emails hoping I'd eventually have time to post something about it. Back in August, Matt Wills emailed me about a sick Common Loon at Dead Horse Bay. The back and forth emails are a good example of how, even in the most densely populated city in the country, there are people who will go out of their way to protect & save our wildlife. This experience also made me aware of an important organization - "Seabird Ecological Assessment Network". It is a collaboration between several dozen government and non-profit organization whose ultimate goal is to reduce and eliminate the growing threats to an increasingly stressed group of animals. I was at Dead Horse Bay today and walked right up to this Common Loon. [...] First time I've ever seen them on land. I don't think this one is well, though, considering I walked up to within five feet of it. I think it has a lame leg. It did move as I was watching, away from the rising tide that was beginning to nip its tail. The immature was off-shore, probably keeping an eye on me. I don't know if you and Jean are around Floyd Bennett Field this weekend, but if you are or know who to contact about this poor thing ... and if it's not too late. We did find the very lethargic [Common Loon] and a nearly paralyzed Great Black-backed Gull. (See attached photos) Someone had built a lean-to to shelter the loon from the sun and provided water in a plastic container. The sub-adult Great Black-backed Gull was throwing his head back as though to keep his head out of the water - but there was no water near it. 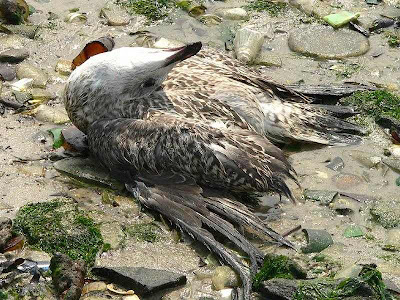 It is possible that both birds are suffering from Type E Botulism but these symptoms - other than the apparent paralysis of the wings and legs - are not typical of botulism poisoning. Generally the necks of the birds become flaccid. The loon keeps his head perfectly erect. 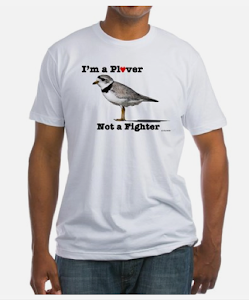 I contacted and spoke to Tony Luscomb about these birds and he said he would tend to them. Capturing a live loon can be dangerous; their bills are formidable weapons and they can strike out with lightning speed. If I get further word about the fate of the loon, I will let you know. 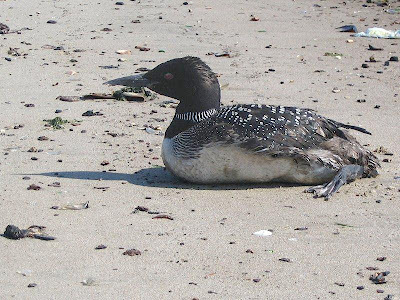 Thank you for contacting me about the loon that is beaching itself and for sending me the photos. Unfortunately, the poor bird is probably pretty sick to be beaching itself so regularly, as they do not come to shore unless they are nesting or feeling very sick. It's probably not moving away from you because it's weak and doesn't have the energy to move a lot on the sand. I don't see any obvious injuries in the photos, but it could be suffering from lead poisoning (from accidentally ingesting lead fishing tackle), aspergillosus (a fungal infection of the respiratory system), or a variety of other internal injuries or diseases. It could be transferred to a rehabilitation center to diagnose it's problem and provide care if possible. [...] However, loons do not do very well in captivity for rehabilitation, so it's chances are probably almost as good if you just left it be to go back & forth into the water. It is a good sign that it is going into the water periodically. I look forward to hearing from you about its outcome. 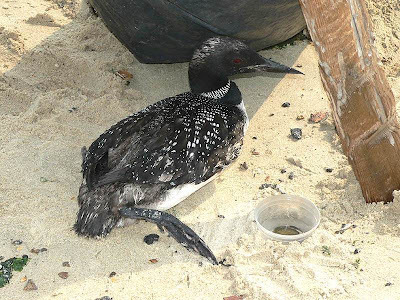 To keep you up to dated on the beached Loon first reported on August 11th. 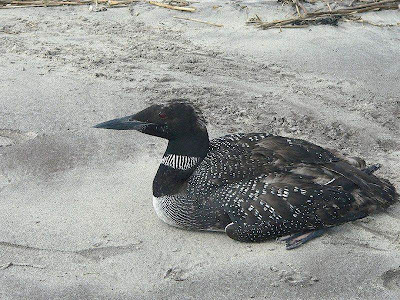 [...] I have attached a photo of the loon that was taken on September 1st, the latest Beached Bird Survey we did for SEANET. We intend to keep a watch on the loon with no attempt to capture it for rehabilitation. It looks like I won't have time to recount my Labor Day vacation in upstate New York. That said, here are some photos that I took over the several days we spent visiting family in the town of Windham. The Convergent Ladybug Beetle looks like a Multicolored Asian Lady Beetle. 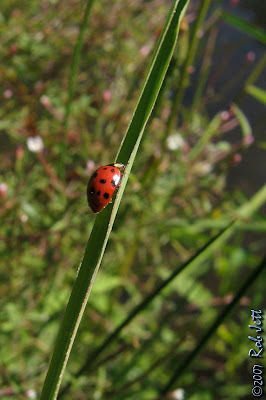 The side view of the pronotum is white but on Convergent Ladybug Beetle it should be black with pencil thin white edges. 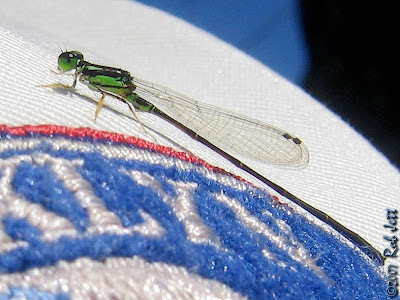 The unidentified damsel looks like a male Fragile Forktail. There is an interrupted green stripe on the top of the body forming an exclamation point. I was in Prospect Park at about 6:30am. Some of the expected songbird migrants were seen, but not in very high numbers. With the cold front moving in tonight, I expect tomorrow will be more productive. When I was leaving the park there were two park workings coming out from behind the fence that surrounds the lower pool. I've seen them in the park several times and we've spoken about birds in the past. Knowing that I was interested in birds, one said to me, "Did you see that shorebird at the Upper Pool?" I presumed that it was just a common Spotted Sandpiper when the other worker said, "It was swimming around." A shorebird swimming? The only shorebirds that swim (at least that I know about) are phalaropes, so I ran to the Upper Pool. 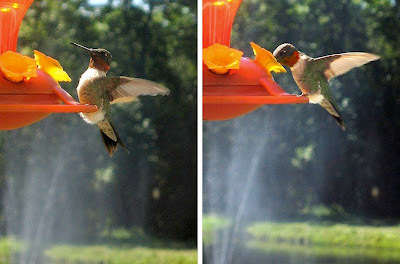 We couldn't find it immediately, but the tiny bird eventually emerged from the floating mat of primrose that edges most of the pond. 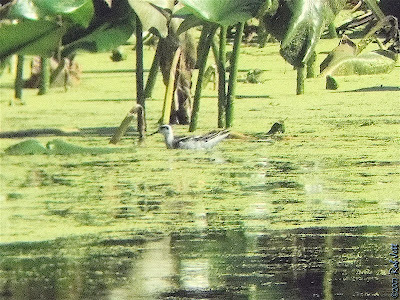 I initially misidentified the bird as a Wilson's Phalarope and I'll use the excuse that I was facing the sun and the bird was in silhouette. 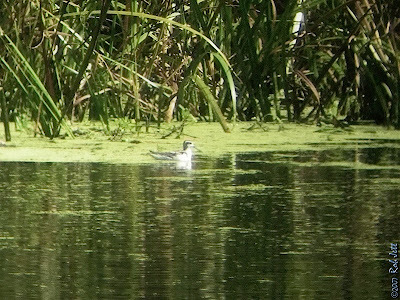 Peter Dorosh and I ran around to the opposite side of the pond and we decided that it was, without doubt, a Red-necked Phalarope. 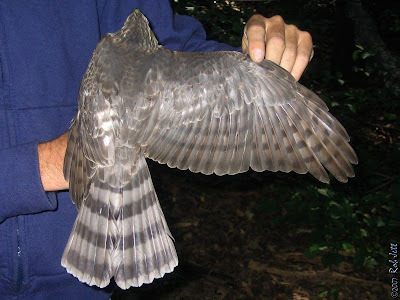 In addition, he had buffy feathers on his back, which would make it a juvenile. That's probably why he stopped off at Prospect Park and not Jamaica Bay Wildlife Refuge. He didn't know the best places to dine in the neighborhood, yet. He stayed around for about an hour then took off, flying east. Mary Eyster and I walked around the entire lake trying to relocate the bird. We were unsuccessful. 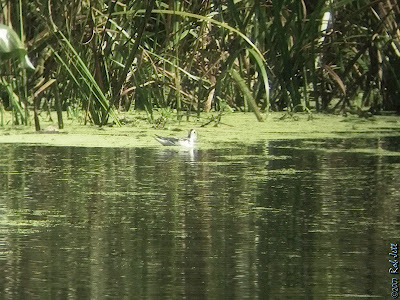 It is interesting to note, however, that along the way we observed a Solitary Sandpiper , a pair of Spotted Sandpipers and a flock of six Semipalmated Sandpipers. That's four species of shorebird ... in Prospect Park. Who said you need to go to the shore to see shorebirds? The photo quality isn't very good, but I was surprised that they look as good as they do considering I shot them through my binoculars. Yesterday I lead a group of birders on a Linnaean Society field trip in Prospect Park. We stayed, primarily, within the park's wooded areas and, despite temperatures that eventually approached 90 degrees, had a surprising productive morning. The Vale of Cashmere, our first stop, didn't disappoint as it had a nice mix of songbirds. 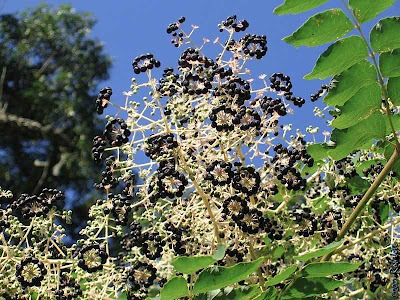 The birds were primarily feeding in the Black Cherry trees, although some would occasionally drop down to eye level and feed on the few ripe fruits in a Kousa Dogwood or a fruiting Paper Mulberry. We spent nearly an hour in the vale and moved on after tallying 15 bird species. I was a little disappointed that there wasn't much activity in the Midwood, but it was a different story across from the woodlands at the stream behind the Music Pagoda. At that spot we came across an amazing bit of activity. Shade from surrounding mature oaks, maples and ash trees, the sound of rushing water and a profusion of jewel-weed attracted an amazing diversity of songbirds. The first bird that we spotted was a splotchy, molting Purple Finch that was dropping down to the water's edge to drink and bathe. Then a few Rose-breasted Grosbeaks caught our attention. 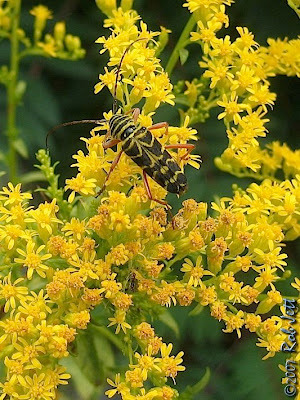 They were feeding within the jewel-weed, a few inches above the ground, which seemed incongruous to me as I am more accustomed to seeing them feeding at the tops of trees. Peter pointed out a Prairie Warbler in a shrub a short distance upstream from the grosbeaks. I heard the "chink" of a Northern Waterthrush from somewhere below the prairie. We spotted him a little while later. A pair of Scarlet Tanagers, already dressed in their yellow-green, winter plumage, were foraging in the trees above the Music Pagoda. Tom spotted, what turned out to be our best sighting of the day - a Philadelphia Vireo. It was possibly a first fall bird as it appeared to be very bright yellow. In that area, alone, we observed 22 species of birds. It almost felt like a spring fall out day! We weren't as successful in the woods on the Peninsula as it was pretty quiet. One species that was new for the day was a Northern Parula. Peter departed while we were still on the Peninsula, but called me on my cellphone a few minutes later. He wanted to know if I would be interested in seeing a young Red-tailed Hawk standing on the ground and eating a squirrel in the middle of the barbecue area near Vanderbilt Street entrance. That would be like asking a Grizzly Bear if he would be interested in a fresh salmon. I had come to the park on my bicycle and asked the group if their minded me racing ahead and meeting them at the spot. Photo opportunities like the one Peter described don't come up very often for me and I didn't want to miss it. The group didn't mind, so I hopped on my bike and raced down the road to meet Peter. The hawk was one that was hatched this year and had beautiful, crisp clean feathers. 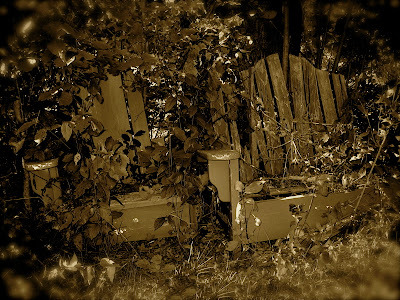 He had been hunting in an area that is virtually midway between Big Mama and Junior's nest in the cemetery, and Alice and Ralph's nest in the Ravine. It's anyones guess which parents raised the young raptor eating the squirrel. He was still at a dangerously unwary stage of development. His choice of dining table was only a couple of yards away from a road that was teeming with cyclists, runners, roller-bladers and pedestrians, yet he seemed indifferent to the human activity. 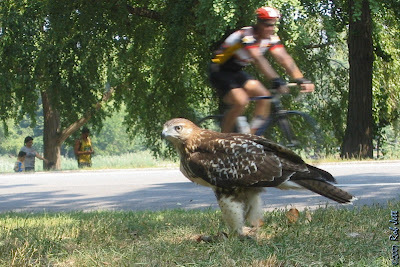 One cyclist saw me lying on the ground taking pictures of the hawk and stopped to watch. He continued walking very close to the hawk and I politely asked him not to come any closer as he'd scare off the bird. He didn't listen and, of course, the raptor took off with the remains of the squirrel. Fortunately, he didn't go very far and the rest of the group arrived in time to observe the impressive creature as it perched in an oak tree a few feet above our heads. At one point he froze, with his eyes fixed on something in the distance. Suddenly, he took off, heading towards the ground at the edge of the road. An unwary squirrel had wandered out into the open and the hawk had him dead on. 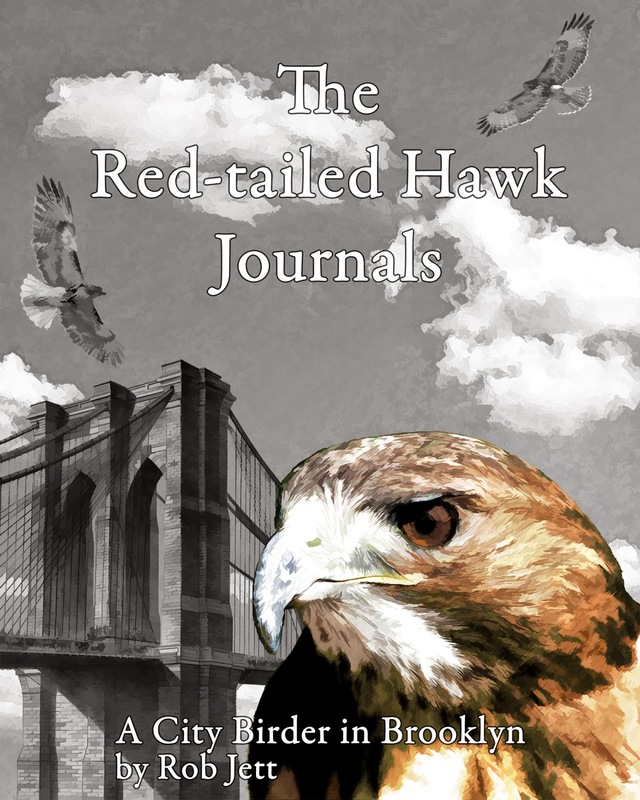 The squirrel dashed back toward the trees and the raptor wheeled around on his massive wings, just inches above the ground. I don't know how, but that lucky rodent managed to escape the hawk's deadly talons. The Red-tailed Hawk perched in the squirrel's tree for several minutes, constantly scanning up and down the trunk for his missed opportunity. When he eventually gave up and flew across the road towards the lake, we noticed that he had a full crop. We wondered why he would waste some much energy chasing prey when he had already eaten, and from the looks of it, quite a bit. One thought was that he was just sharpening his hunting skills. Another possibility is that it is a genetically programmed response, similar to what happens when a string is dangled in front of a house cat or a doughnut in front of Homer Simpson. They just can't help themselves. A few weeks back, someone from the Brooklyn Children's Museum scheduled an hour or so to videotape a group of us at work surveying birds at the Ridgewood Reservoir. They are producing a short video piece about "citizen science" that will be viewed in a kiosk at the soon-to-be-renovated museum. I didn't think that the date would be optimal timing for migrating birds (the nesting season is already over), but sometimes production and migration schedules are tough to coordinate. Peter Dorosh, the president of the Brooklyn Bird Club, had also been contacted and would be surveying the birds around the reservoir with a few club members. It was fortunate that Peter and his group were at the site to meet the video crew, because I was stuck in mass transit hell. The previous night I had emailed Peter to let him know that the subway ride to the reservoir was quick and easy; unless, of course, the "F" train is unexpectedly re-routed over the "G" train line, my simple solution to switch for the "J" train at Fulton Street didn't work because it doesn't stop there on the weekends, plus, I needed to change for a "4" train and ride it one stop north to transfer to a "J" train back to Brooklyn. I was completely frustrated when I finally got to the reservoir. The video crew was nearly finished by the time I caught up with them. Ultimately, it ended up being inconsequential as they didn't want to follow me into the basin, where I would be working, for fear of dropping their expensive equipment. It wasn't all bad, though. My early morning aggravation was quickly erased by the sighting of several migrating species and some new seasonal discoveries. Various species of polygonum were either blooming or fruiting. The most abundant of these was the highly invasive Japanese Knotweed. 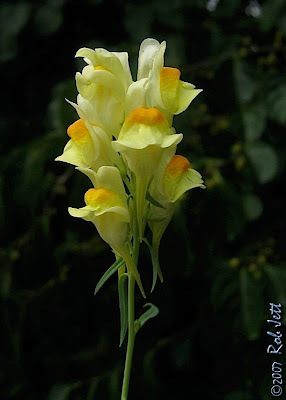 They have white, frilly flowers and thick, bamboo-like stalks and can quickly dominate habitats. Areas of dense growth made some spots in and around the reservoirs virtually impassible. Janet, Suzanne and I pushed our way through the vegetation at the southeast corner of the bog to the first clearing where we could scan for birds and listen for chip notes. We had only been there a few minutes when I heard a sharp, metallic call that I didn't recognize; not that I recognize a large number of fall chip notes, this one just sounded different. After a brief search, I located a Cape May Warbler foraging low in a birch tree. During the spring migration, they spend most of their time at the tops of the trees and are heard more often then seen. The three of us were very pleased to, not only, have added a new species to the reservoir's growing list, but also to have such long, clear looks at a normally elusive bird. 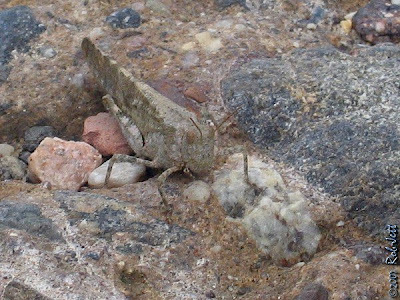 It stayed in the area long enough that when Peter and Kelly joined us we were able to relocate him by his metallic chip. The "bog" basin appears to be wet throughout the and was still carpeted with various bright green mosses. 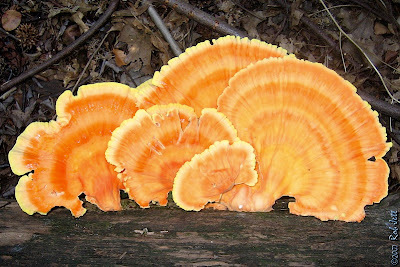 In addition, on this trip I noticed an abundance of freshly emerged fungi. 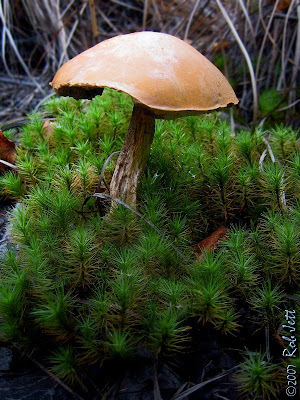 I know only a little bit about mushrooms, but I did note several areas of small puffballs clusters, scattered pockets of delicate inky-cap type mushrooms and a few beefy boletes. 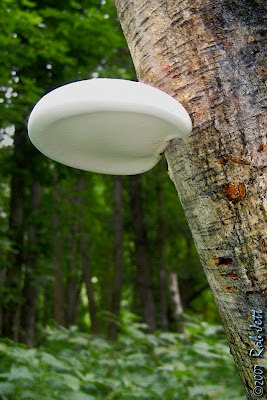 The most distinctive change was a ubiquitous bracket-like fungus that looked almost like it was dripping out from under the thin bark of birch trees. Some were bell shaped, others looked like marshmallows that had been squeezed between ones thumb and forefinger. 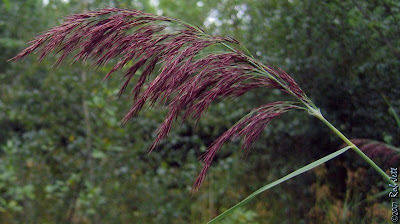 At a few small, wet meadows young phragmites where sporting purple, feathery seed heads. An abundant sedgegrass that I previously couldn't identify was now topped with tiny, beige, cottony balls. 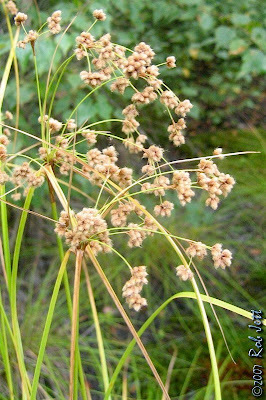 The appearance of the tufts at the tops of the grass helped me to identify it as woolgrass. 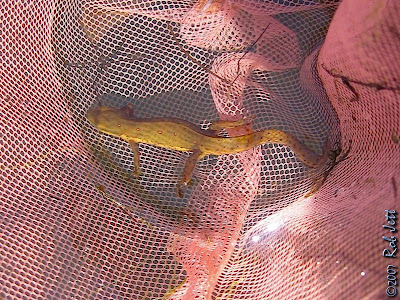 Near the northeast end of the reservoir habitats we found several, very recently hatched Italian Wall Lizards. We cornered one at the base of a clump of grass and he promptly "ejected" his tail. I presume that it is a survival strategy because, like us, a predator would be distracted by the squirming tail and the lizard would escape. Their tails eventually grow back. I thought that it was a good idea to wear shorts and sandals, because a hot, humid day was forecast. It didn't occur to me that the areas we had been surveying since April were rife with multiflora rose, wineberry and blackberry vines. By the time we finished our morning work my ankles and legs looked like a pair of well worn cat scratching post. I went home feeling good, though, because our day list contained 8 species of warblers, 2 new species for the reservoir list, and we observed a very young Red-bellied Woodpecker, confirming that they nest in the area. I went back to the reservoir on Friday with Marge. Our primary objective was to shoot some video and document the reservoirs and surrounding habitats. I've been editing the material and will have something posted online soon.